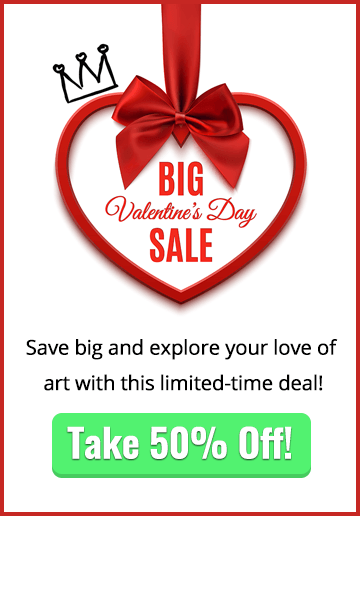 In this nose drawing tutorial, you will look at the differences between the male and female noses and how to draw each of them. Here is a quick look at the finished drawing that you will be left with at the end of this nose drawing tutorial. 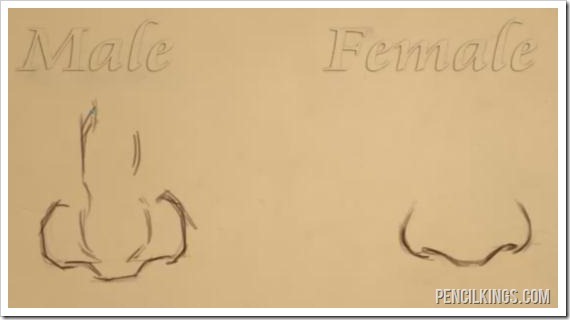 The first major difference between male and female noses is the width. 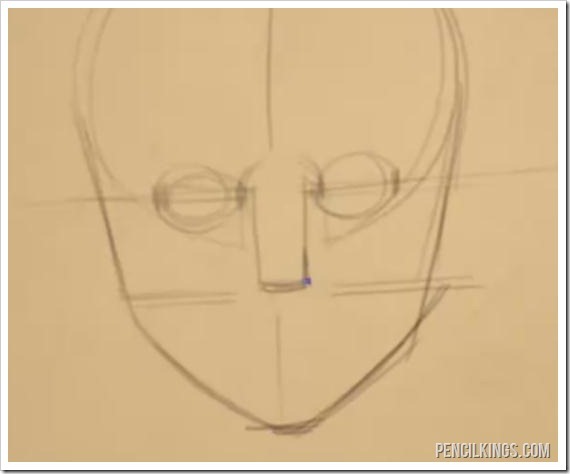 To start this example, a basic face has been drawn and the construction lines for the vertical middle of the face as well as the eye line and the bottom of the nose has been drawn. Remember that the height of the nose is approximately half of the distance between the eye line and the chin. The eyes have also been drawn in for this example, and it’s important to remember that the spacing between the eyes is approximately one eye width. This is important because the male nose tends to follow the same spacing as the eyes, so the width of the male nose is one eye width. The female nose tends to be a bit thinner than the male nose. So, in this nose drawing tutorial, you can take that spacing of one eye width between the eyes and reduce it slightly to give you a good proportion to use for the width of the female nose. The width in the front view is not as great in the female nose as compared to the nose, and the same rule applies when viewing the nose from the side view. The female nose generally will not push out from the face as much as the male nose. 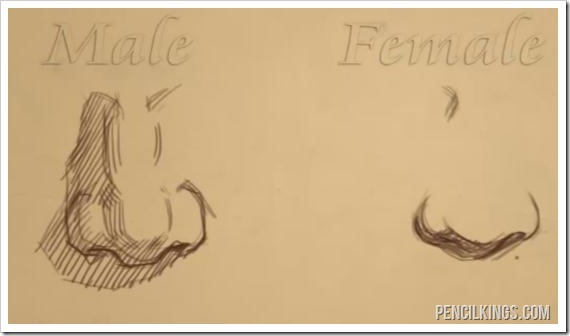 Overall, this will make the female nose appear smaller than the male nose in this nose drawing tutorial. There are many different styles of drawing and here you can see that the male nose is a lot more angular than the female nose. This example is exaggerated to prove a point, but it’s important to remember to keep the female nose soft and delicate, unless perhaps you are trying to achieve a nose like you might find on a witch or an evil step mother type villain character. In addition to the different style of angular vs. curved also note that the bridge and ball of the nose aren’t defined in this example of the female nose. All of this helps to achieve the softer, more delicate effect for the female nose drawing. Here again you can see that the male nose receives a different style of shading that is a lot more pronounced than the soft shading of the female nose. 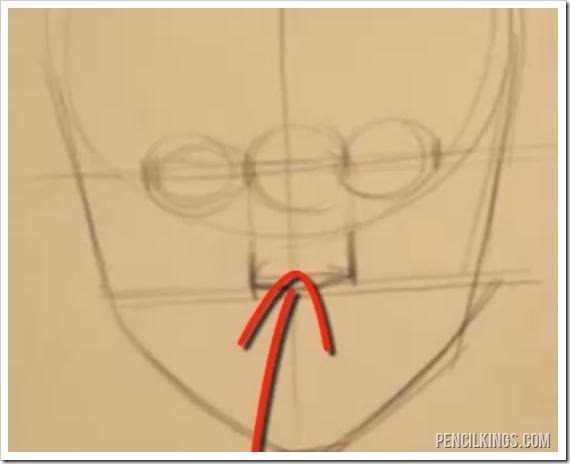 This is the last lesson in our nose drawing tutorial. 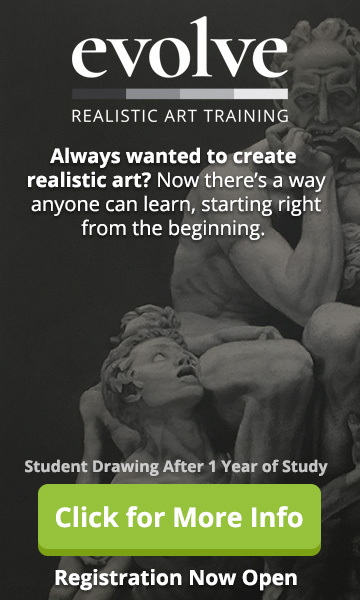 We hope you learned a lot, and that you can now feel confident drawing any kind of nose style that you can think of. 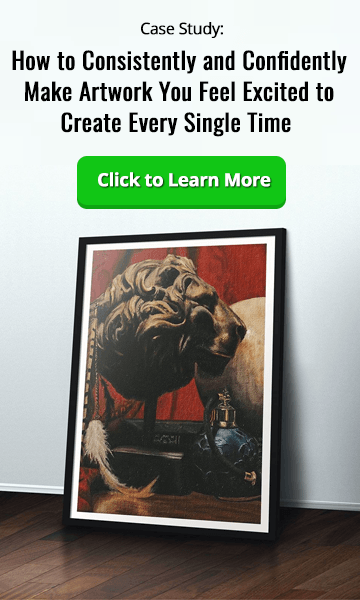 Feel free to leave us a comment below and let us know what you thought of this series!